“I started playing the mandolin a little over two years ago. I played the piano as a child, but having never played a stringed instrument before, my intention was to study as much as I could about technique, theory, improvisation and the various genres of music for the mandolin. To that end, I have taken nearly every course Matt has offered, even three at a time! Matt is a brilliant teacher. Every course is deep and rich with information. The material is thoughtfully explained, allowing a student to slowly transform the class material into music. I can’t imagine this journey without Matt Flinner. 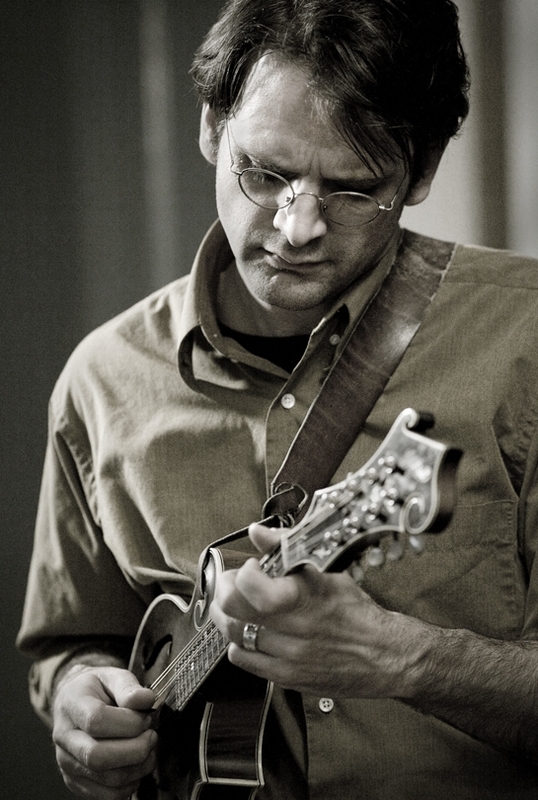 His courses are a true life changing musical experience!”—Lisa S.
New this spring, Western Swing Mandolin with Matt Flinner will take students on a journey through the music of Texas dance halls in the 1930s and 40s. Drawing mostly from the music of Bob Wills and the Texas Playboys, but also the likes of Milton Brown and Hank Thompson, the course will introduce students to the unique combination of early country music and jazz that became Western Swing. Students will learn one (or two if they choose) standard song per week, and will be given exercises to help them play lead as well as backup, all with the intent of getting more familiar with the harmonically rich vocabulary of Western Swing Music. We’ll also look at at least one solo per week by one of the greats (Johnny Gimble, Tiny Moore, Leon McAuliffe, etc.) in this style. This course is intended for intermediate-level students, though students at all levels who are intersted in Western Swing may find it helpful. A minimum rudimentary knowledge of chords and some fiddle tune melodies is recommended. Matt, I live in West Australia so the timing of your courses will never for. Will I be able to do this course properly just following up with a recorded lesson? Sorry about that! I do have several students that do follow the courses that way, and it seems to work well for them. I do try to post the class sessions as soon as possible—generally by the following morning (so, say 9 hours after they occur). Also, I will likely be adding a 2 pm eastern time class time for the Western Swing course—I don’t know if that helps you very much, though! Let me know if you have any other questions. Thanks for getting in touch, and I hope all is well in your part of the world! Just booked it anyway.As you probably noticed. Looking forward to it! Looking forward to having you in the class, Jim!